Somaliland Ministry of Foreign Affairs has publically announced that the Turkish government will open a liaison office in Hargeisa in the latest step to deepen Somaliland international relations. Somaliland Ministry of Foreign Affairs has disclosed that the Turkish government would open a liaison office in Hargeisa and that the Turkish Deputy Prime Minister Bekir Bozdağis is slated to visit the country soon. In a press circular, the department described the Somali Conference that just concluded in Istanbul as a diplomatic and political success for the country. 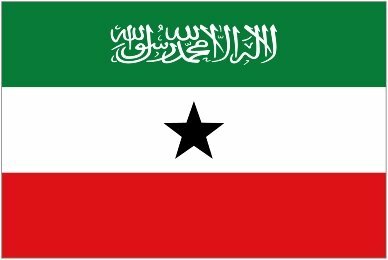 “This is the second time the international community have acknowledged the essence of Somaliland when ‘Article 6’ was incorporated into the communiqué,” the statement said. The article was that of the London Lancaster House Conference which averted that “facilitation should be made for consultations between Somalia and Somaliland” to go ahead as two separate entities. Fifty seven countries attended the Turkish Conference on Somalia in which the FM appealed for them to establish bilateral relationship with Hargeisa. The Foreign Minister Mohammed Abdullahi Omar said in an interview that this time round the Turkish government has made a strong commitment to help Somalis revert to integrity. The meeting took part in three stages whereby the initial one focused mainly on the “road map” such that the transitional status of the Sharif government should make way for a real one, come August . Most of the participants who were involved consisted of the elders and delegates from Somalia. The second part consisted of adoptions of their resolutions. However the third and most important one for Somaliland, was that amongst the community of nations (57) in which the FM asked the international community not to confuse nor overlap issues of Somaliland with those of the Mogadishu government. He appealed for immediate political recognition for Somaliland since it was justifiable. On the same note, to drive his point home, Dr. Mohammed asked for the adoption of the 6th Article to be incorporated into the resolution in the communiqué, an act that was hitherto accepted immediately thereafter. This underpinned the fact that Somaliland and Somalia were two different entities according to the minister. According to the press circular, it is about the last time that the issue of Union of Somalia, as something sacrosanct, would rest forever. The conference agreed that Somaliland would receive her grants and associated aid, and it is to this end that the Turkish government will open a liaison office to facilitate the direct help they extend to Somaliland. As well as coordinating aid and development, the office will also issue travel documents and scholarships. The Foreign Minister was accompanied by the minister of planning and mineral Ministers Dr. Sa’ad Ali Shire and Hussein Ali Duale respectively.